When landscaping our residences, everywhere, including landscaping in North East Ohio, we should plant more naturally with more native plants. This important and urgent message is put across clearly by one of its strongest proponents, Doug Tallamy of The University of Delaware. His very interesting talk is captured in this video, and I highly recommend watching it. See if it strengthens or changes your view on the subject of natives. The reasoning is powerful. We need biodiversity, the blend of plants, insect, and animals – for it is biodiversity that runs ecosystems. As landscape designers, we start the process by designing in the plants. Plants not only are the food source for the insect and birds, but also create soil, clean pollution, sequester carbon, moderate weather patterns, and allow us to eat sunlight. Tallamy points out that plants, including natives, vary in the number of insects and birds that depend on them for food. He shows a very compelling listing of the plants in North America, and where they rate in such a list. The list goes from Oaks at the top, supporting over 500 species of birds, down to Dawn Redwoods at the bottom, favored by 0 birds. On top of this accomplishment, Oaks are some of the longest lived plants in our area and have the capacity to live for 900 years. This means that they can sequester carbon from the atmosphere for a very long time. Doug maintains that if only every residence could have five oaks growing on it, it would go a long way in fighting the carbon pollution problem. Natural ecosystems have been carved into continually dwindling islands. These scattered woodlots are too small to keep an ecosystem going, and tiny populations are facing local extinction. Instead of diverse woodlands the default of suburban America is the lawn. Dr. Tallamy has many factual numbers backing up his points – and this is the one that struck me. In America, the typical residential landscape is composed of 90% lawn. Of the remaining area, 80% of the plants are non native. This leaves little familiar food for many creatures that may depend upon it for survival. This particular dependence has developed for years and years. Certain creatures had to develop an ability to digest a plant that was unpalatable to others, thus protecting themselves from predators. What happens when that necessary plant gets eradicated? Just look at the disappearing milkweed, and the disappearing Monarchs. Tallamy is an entomologist and his appreciation of insects is profound. The presentation of caterpillars and birds that depend on those natives turns into a near rock concert paced depiction of a particular native plant, then the beautiful caterpillars that depend on that plant for its existence and then the beautiful bird that then depends that caterpillar for its existence. All of the photographs were taken by Tallamy in his own front yard. The presentation is compelling, tragically beautiful, and unforgettable. If you would like to read more deeply into this I recommend Doug Tallamy’s book ‘Bringing Nature Home,’ and his website www.PlantANative.com. This entry was posted in Uncategorized on February 18, 2014 by apldoh. This entry was posted in Uncategorized on February 17, 2014 by apldoh. First of all, I think that there is way too much created stuff out there. Especially with the digital, there is an increasing amount of writing, photos, videos, music, TV, radio segments, recipes, etc. out there for you to try to absorb, and then perhaps send out some responding stuff. I think that a grand editor’s room is needed into which all newly disseminated material has to be first submitted for editorial approval. Created material should have to pass through the approval hands of some old gruff guy slumped behind his desk, and get a pass or trash. As things are, we have to be that editor. It would be a more pleasant job if there wasn’t so much trash. I can see why the old guy gets gruff. That being said, of course humans have created wads of fantastic, worthy stuff from their creative minds and hearts. I just wish the good was not muddled down with more and more un-good. There’s no sight in change, and it’s our task to sit behind that editorial desk. So where does this creativity come from? Why do some have so much and some seem to come in at the level of the bottom of a garbage can? Some people seem born creatively blessed, creatively raised, better said in Hemmingway’s description of Fitzgerald – ‘his talent was as natural as the pattern that was made by the dust on a butterfly’s wings.’ Other people have to toil at becoming creative, toil and try. And, why do we create? We all might not have a good amount butterfly dust, but we want to develop some dust of our own, we want to say something. I find that the field of landscape design to be an area where I can create some spaces that might meet the approval of that editor. In the case of residential landscape design, the editor is the client, and the task is changing their yard’s appearance to something that might be above what they imagined is exciting. I want to learn, work, help others understand and try to improve the home landscapes as best as I can. I attempt to do this in my landscape design practice in North East Ohio, and attempt to do this by being a part of APLD, both international, The Association of Professional Landscape Designers (apld.org) and locally here in Ohio, (apldoh.org). If you have some similar interests and are excited by the creativity possible by landscape design do think of sending either organization a note, just not too long. This entry was posted in Uncategorized on February 9, 2014 by apldoh. This entry was posted in Uncategorized on December 31, 2013 by apldoh. What is the payback for belonging to APLDOH? For me, it’s been an opportunity to network with other designers, from whom I learn ways to design better, or differently. Friendly designers who don’t mind sharing. 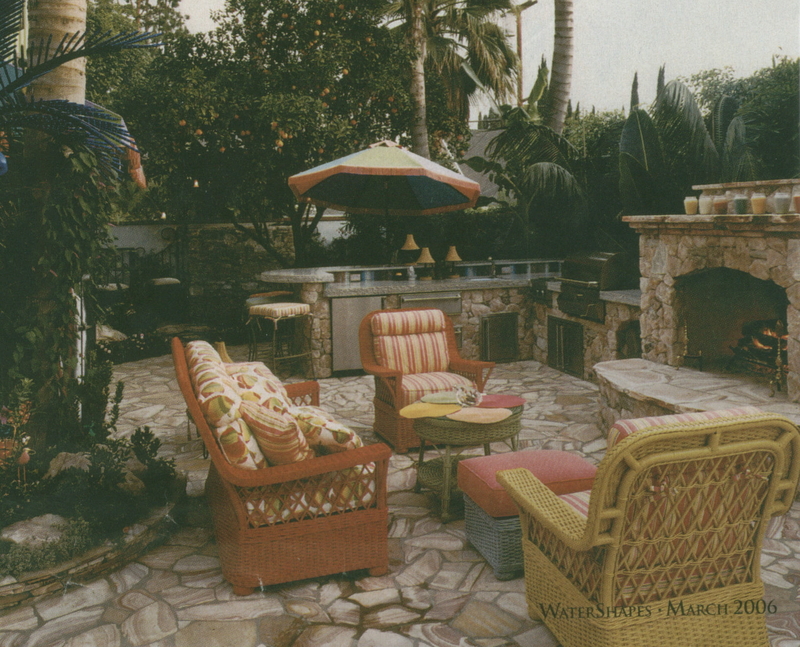 This entry was posted in Landscape Design on December 10, 2013 by apldoh. When bad things happen to good people. That was the title of a book written 35 years ago wherein Harold Kushner dealt with the tragic and depressing reality of calamities falling upon good persons. I immediately thought of this when I was writing this article and news came on the TV that a fire ravaged the growing house and sales building of JJ’s Greenhouse in Columbia Station, which is on the west side of Cleveland. The address is 26240 Folley Rd. Columbia Station, OH 44028 (440 236 8762). JJ’s son John was interviewed showing the fire destruction was massive for such a small operation. This design note was going to be on the some of the reasons behind how we choose to landscape our home. Instead the significance of this bad fortune bestowed upon a good hard working family is so awful, I will be writing on what I think of their operation, and what you can do to help, for I know this is a family that will not ask for help. JJ’s is not a large garden greenhouse, it is not big, nor is it particularly fancy. What it exemplifies is good honest work. With hard work they coaxed much as much as they could from a limited location that is far off the beaten path of the strip malls, big box stores, and fancy upscale boutiques. JJ’s was probably started before any of these buildings that seem to get most of the gardening sales out there were constructed. John has improved things much over the years but is still very much like it must have been back then. If you’ve gone there you’ve seen the colorful supply of flowers and vegetables that are always healthy, priced reasonably, and sold in a friendly atmosphere of a grow-and-sell greenhouse that harkens back to an older era of small business. There you will fine genuine friendliness, not that ‘smile because it in your job description’ look you might get at a larger operation. It is the epitome of a mom and pop store, in fact it is a mom and pop, and son and daughter greenhouse. The heating source was old fashioned coal furnace, and the isles were not particularly roomy for there were benches and plants everywhere, taking advantage of the limited area under glass, protected from our often unkind Ohio winters. What I always felt there was comfortable and the appreciation of seeing a family that works honestly hard. As John mentioned when interviewed on tonight’s news, luckily the fire did not get to their nearby home or the front sales yard. In that front area they will be selling their good supply of cut Christmas trees and pine roping for the holidays. I highly encourage anyone who will be buying a cut tree or roping for their home this Christmas, please consider stopping up to see the trees and roping up at JJ’s and do a good deed while buying a great tree. I think you will feel good that you did. This entry was posted in Uncategorized on December 2, 2013 by apldoh. Finally a schedule of events spanning the year, now lets all help to actively pursue advanced design in 2012. Great work by Carol Palansky, Kevin O’brien, Susie Dempster, Kathy Stokes Shafer, and Bobbie Schwartz at a skull session in January. This entry was posted in Uncategorized on January 19, 2012 by apldoh. This entry was posted in Uncategorized on January 5, 2011 by apldoh. This entry was posted in Uncategorized on December 27, 2010 by apldoh. 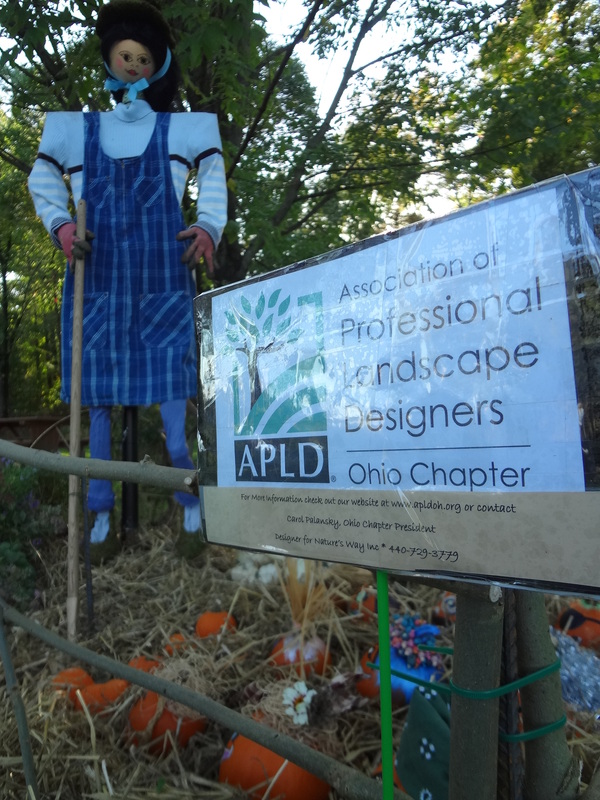 The annual winter meeting of the Ohio chapter of APLD will take place in Columbus during the CENTS show. On Monday,January 24th, we meet again in an upper classroom at the Convention Center – 4pm, in roomD-240 at the top of the escalator. In addition to the always lively business meeting, the presentation will be on outdoor kitchens by Marlene Boucher of Outdoor Dreamscapes in North Olmsted. Marlene will engage us with a presentation on the nuts and bolts of outdoor patio amenities as well as the scoop on the latest in outside developments. Outdoor Dreamscapes has a show room in North Olmsted with realistic patio set ups that give the consumer a real idea of how their backyard could look. They also created the two model outdoor kitchens at the Great Big Home and Flower Show at the IX center. This entry was posted in Uncategorized on November 15, 2010 by apldoh.